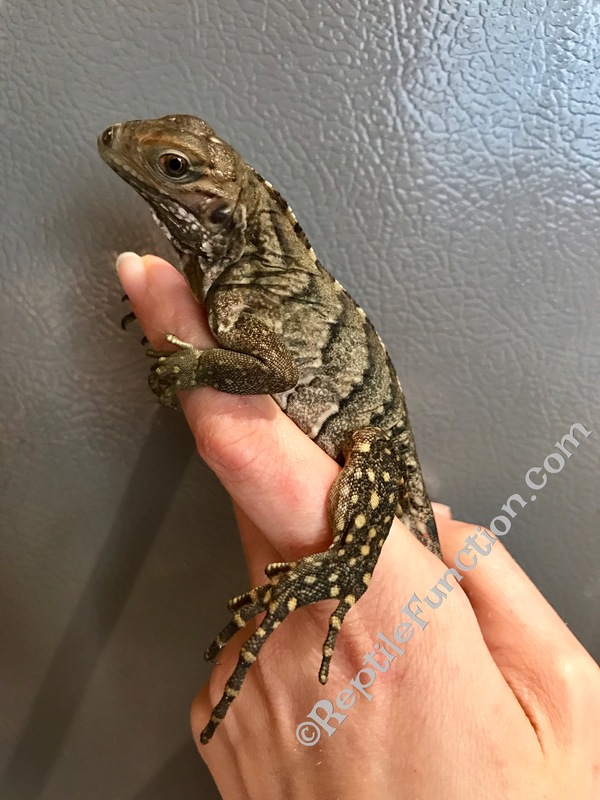 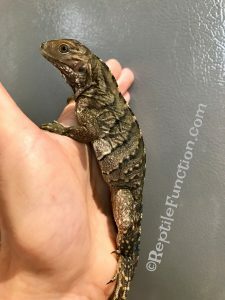 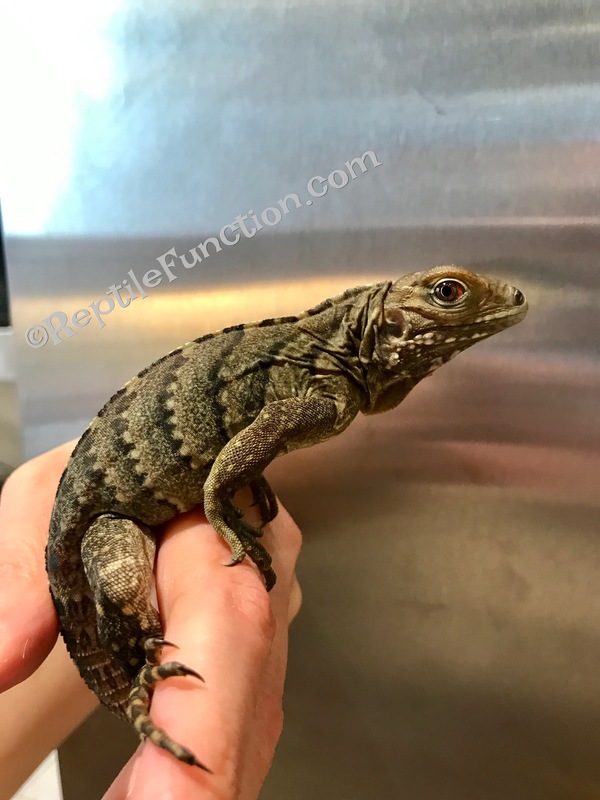 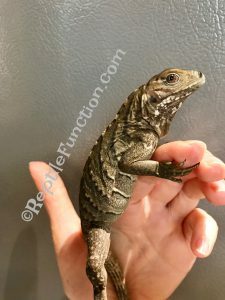 Introducing baby rock iguana Leo, Male, Cyclura lewisi hybrid. 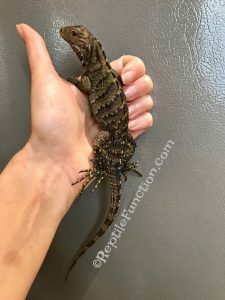 Leo is a larger baby of the clutch, darker in colors and will most likely be a multi-color hybrid. 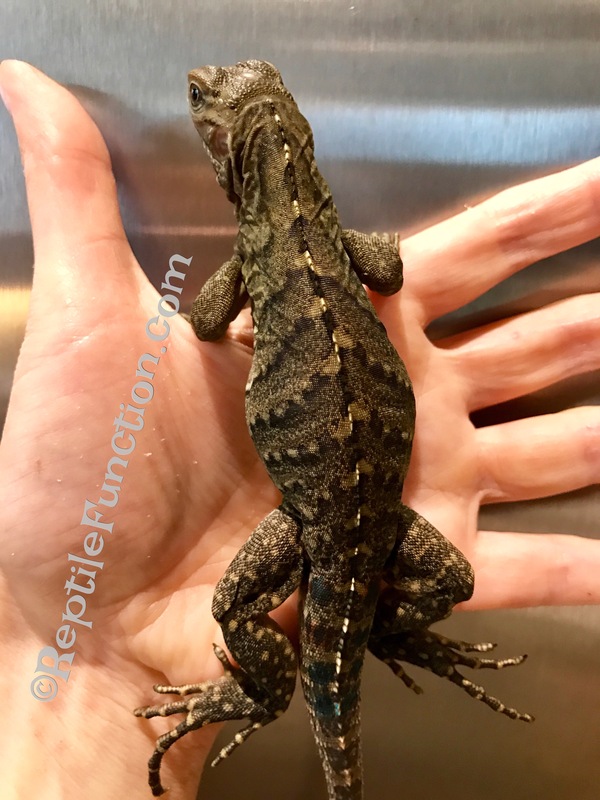 His demeanor is friendly, active and curious about the outside world. Leo is not shy and accepts handling very well. After a few minutes he relaxes in your hands and will even eat a blueberry treat while being held in your hands. Leo is in excellent health and perfect condition. 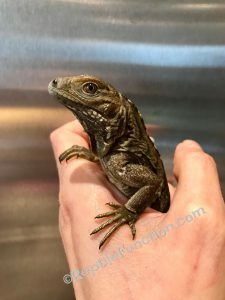 With love and patience Leo will make a great pet and companion.